What is today Spaulding Rehabilitation Hospital Cambridge was founded on this site in 1895 as The Holy Ghost Hospital for Incurables. The Sisters of Charity of Montreal (“the Grey Nuns”) fulfilled the vision of the order’s foundress, St. Marguerite d’Youville, by caring for anyone with a chronic illness and disability regardless of background. Originally a 24-bed “cottage,” the hospital grew over time to become Youville Hospital & Rehabilitation Center, a 305-bed care facility serving elders and those in need of rehabilitation. The name changed in 1970 and the facility operated as a member of the Covenant Health Systems. 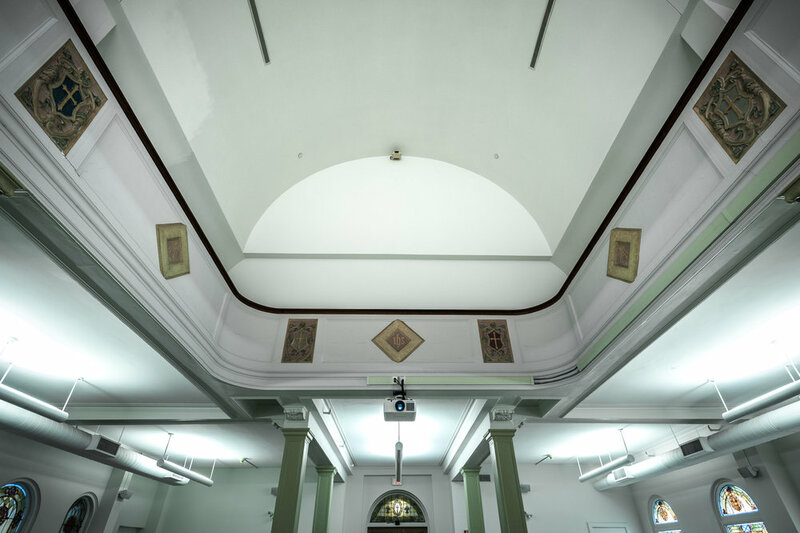 Mass took place regularly in the chapel which was viewable through an in house system in all patient rooms. In 2001 Youville Hospital formed a joint venture with Spaulding Rehabilitation Hospital, and in 2009 Spaulding purchased Youville and changed the hospital’s name to Spaulding Hospital Cambridge. SHC receives about 1,500 admissions annually, with an average daily census of 130. The average length of stay for a patient is 23 days. The hospital’s St. Marguerite d ‘Youville Chapel was decommissioned after Spaulding purchased the site. 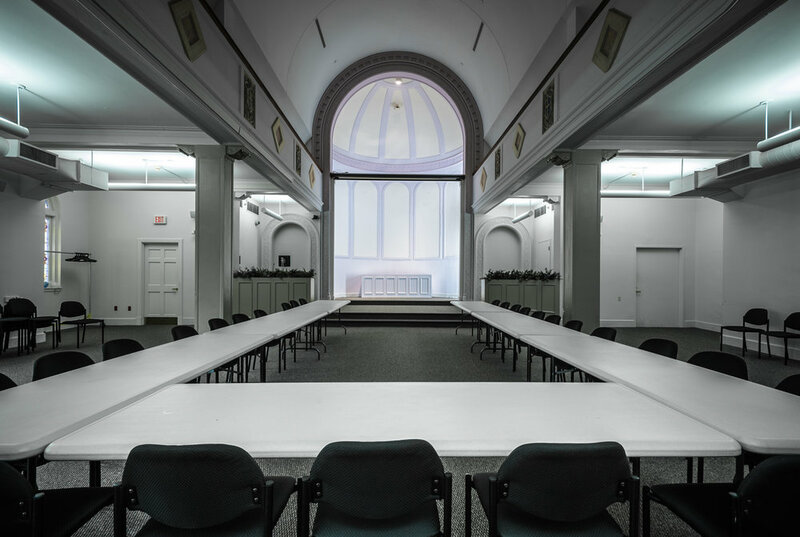 A large traditional Catholic chapel with a complete sacristy, it was turned into a conference room. Balconies where the nuns reportedly brought the infectious patients to mass were closed but remain clearly present in the space. A meditation room long a part of the hospital also remains near the main front entrance open to all who enter the buildings. And is open 24/7 for inpatients, their family members, and hospital employees of any or no religious affiliation for quiet, prayer and meditation. Images of the hospital’s founders and early caregivers are captured in a hallway of stained glass on the first floor, and several paintings hanging throughout the hospital. 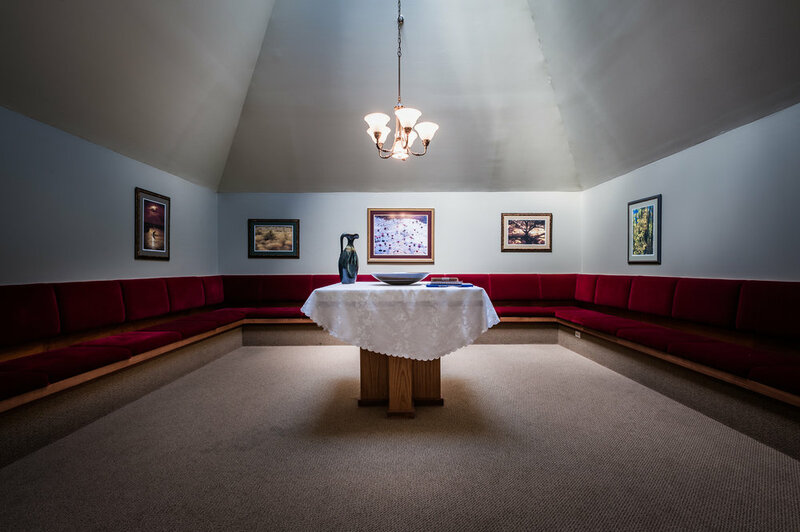 Some of the chapel’s furniture is displayed outside the former Catholic chapel. The Spaulding Rehabilitation Network includes SHC for long-term acute medical care, two independent rehabilitation facilities, and two nursing/therapy centers. Ten chaplains serve the network providing care at the bedside with patients, their loved ones and hospital caregivers. In addition, they lead an annual memorial service; some religious services are offered at the two nursing facilities.